Mayor Rahm Emanuel announced Sunday that plans for an extensive tunnel project in Albany Park would move forward. The Albany Park area is particularly prone to flooding due to its proximity to the Chicago River. 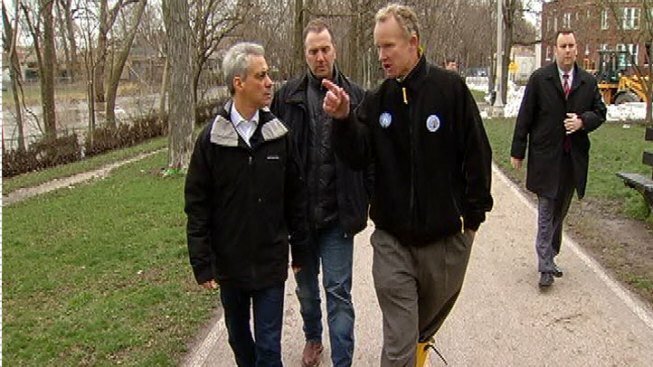 "This project can provide security to the residents and businesses of Albany Park by helping ensure that they don’t have to deal with this sort of flooding in the future," Emanuel said in a statement. The flooding over the past week resulted in severe damages to the Albany Park neighborhood and more than 600 homes were left without natural gas. Flood warnings remained in effect Sunday for the Des Plaines River in Lake and Cook counties, for the DuPage River in Will county and for the Fox River in LaSalle, Kane and McHenry counties, according to the National Weather Service. Early Sunday officials evacuated nearly 1,500 people from Wheaton’s Briarcliffe subdivision after a retention pond breached a levee. Residents have since been allowed to return home after officials assessed the pond, but the area was still being monitored. 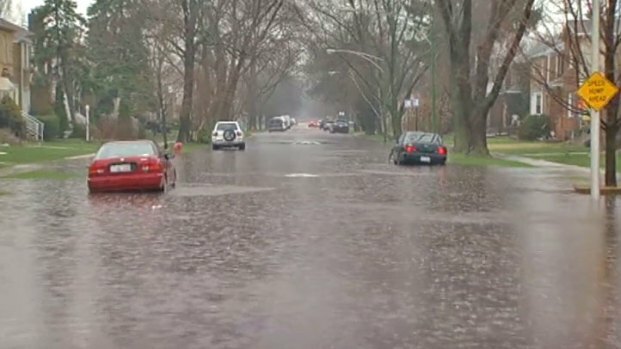 Aurora and Joliet offiials that reported all roads have reopened since the flooding, but closures remained in several counties throughout Illinois. Congresswoman Tammy Duckworth announced Sunday she would assess flood damage in Des Plaines, Addison and Lombard and also planned to visit the Red Cross Shelter in Wheeling. "My thoughts and prayers are with the families whose lives have been disrupted by the flooding,” Duckworth said in a statement. "I have been inspired by the efforts of first responders, local officials, and ordinary citizens who have assisted those who have lost so much during the last several days. I will do everything within my power to make sure that the federal government provides assistance to my neighbors so that they can rebuild their lives."